When you choose ECO-PRO, you are getting the best carpet cleaning Ottawa has to offer. Our group of expert carpet and upholstery cleaners are certified by the IICRC in Carpet cleaning, upholstery cleaning as well as Commercial carpet cleaning. Our advanced training and knowledge allows our team of professionals to be classed in a league of their own. We clean with the goal in mind to leave your home looking, feeling and smelling fresh and clean without the use of harsh cleaning solutions. Our green cleaning products not only clean better than our competitors, they are safer for your family and pets. The ECO-PRO difference, we take great pride in our work and it shows! The difference between a good company and a GREAT company is often just the extra touches that show that you care. Our dedicated staff are extremely friendly, courteous and take their time to ensure all of the cleaning that they do meet and exceed your expectations. Many of our customers have remarked that we are really different than what they have experienced in the past. We spend more time in the prep work, spot and stain removal, cleaning and grooming of your carpets and upholstery so that when we are completed it looks as good as new. Often times you will see our competitors promote their particular methods as being the “best” methods. 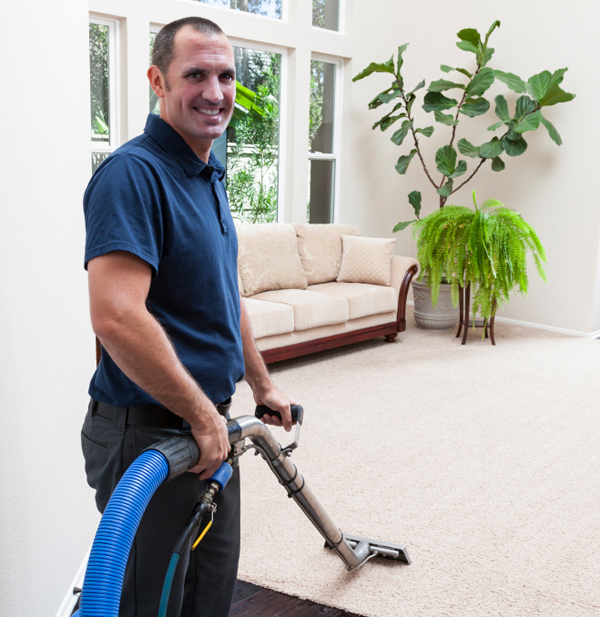 In reality, there are several different methods of carpet cleaning and each methods have their pros and cons. With ECO-PRO, we use a hybrid method that combines Encapsulation and Steam Cleaning / hot water extraction. In our expert opinion this method offers the best quality cleaning for residential cleaning as it cleans deeper than the dry or hot carbonated methods because it actually extracts the product instead of leaving it behind in the carpet… Just remember, if water isn’t used it really isn’t cleaning. Because our IICRC trained technicians take their time and make extra drying passes, your carpets will dry very quickly. No cost estimate – Consisting of a pre-inspection, detailing conditions identified, by using an inspection lighting as required, pretest as needed, inquiry regarding chemical sensitivities and personal requirements. With regard to cases with natural fibers (cotton/wool) it might be required to test for colorfastness. Special notations will be made for conditions which may require special care such as filtration soiling, urine contamination, more difficult spots/stains such as rust, paint, nail polish. Vacuuming – Eco-Pro’s expert carpet cleaners will perform a power vacuuming with a HEPA rated, high filtration vacuum. This will remove the dry particulate soil and help ensure a deeper and higher quality cleaning. Pre-Conditioning – Our method of Steam Cleaning entails the use of an Eco- friendly pre-conditioner which breaks down the binders that hold the soil into the carpet fibers. This process places the soil in a suspended state and allows it to be extracted. Pre-Agitation – Pre-agitation techniques are used as appropriate for your carpet or upholstery. Pre-agitation helps assist in optimum removal of stubborn spots and heavily soiled traffic areas including areas of higher use in your home or business. In the event your carpeting has problematic spots for example food, beverage/wine, oil, pet urine, cosmetics, candle wax, rust or ink/paint, our specialists utilizes customized spot cleaners of those type of spills/spots as required at no extra cost. For treatment and cleaning of filtration soiling and also for our dye stain removal process to remove Kool-Aid® type stains an additional fee will be charged. (Please inquire) Regretfully but in all honesty some spills/spots may result in permanent staining, if however a spot can be removed, Eco-pro will make it vanish. Extraction and Rinsing – Eco- Pro will extract and rinse after the time needed to release the soil from carpeting. Proper fresh water rinsing of freshly cleaned carpeting is essential for satisfactory final results. Occasionally pre-existing deposits via past spot cleaning or from prior carpet cleaning that utilize sufficient rinsing can create situations that may result in unsatisfying results. Eco-Pro will certainly rinse to aid in minimizing chances of rapid re-soiling, spots resurfacing on drying or fiber consistency change. Moving of the furniture – Our carpet and upholstery cleaning team will return, your furniture to its original place with protective plastic tabs as needed. For security reasons and also to help with smooth task processing you’ll be requested to move in advance all breakables and plants from areas in which we’ll be Steam cleaning. Additionally to reduce any chances of damage our qualified professionals won’t move electronic devices, pianos, or musical instruments. Grooming of your carpet or upholstery– Our team of expert carpet cleaners will groom your carpets after the cleaning using a professional carpet grooming too. This will lower the drying time and sets the pile to dry uniformly. Please note for Berber style or commercial grade carpeting will not be required due to the carpet design. Trust Eco-Pro to restore your carpets to their optimal state. Call us today and enjoy the best carpet cleaning Ottawa has to offer and receive award winning service.